My track record over 20 years shows success as a strong analyst, consultant, presenter, marketer, broker of relationships, team player and project leader. I am organised, flexible, creative and energetic with an international mindset. I like to work with passion, focus and enjoyment. My "home" market is Ireland and the UK but have worked extensively around the world with local Colliers offices. These include: Hong Kong, Shanghai, Central Florida, Edinburgh, Bratislava, Belgrade, Almaty and Lima. Through a "product development" approach of research, analysis, concept development, market positiong, place/destination brand strategy, options appraisal, development appraisal, development, delivery and investment action plans I add value by bringing together complex information to provide clear recommendations and plans to reduce risk and increase returns for our clients and Colliers. One of the worlds biggest growth markets are cities. Colliers International is active in them, so working with colleagues in our offices I can offer addtional and complimentary advice on your city and their strategic projects their development, management plus strategic branding & marketing. Think of me as the "destination developer" who can help you consulting fees, downstream fees and help differentiate Colliers in your market. 2. Part of the team that delivered the successful reuse strategy of London’s Millennium Dome now London O2 Arena and surrounding property development. 3. Part of the team that helped to create the UK's first business improvement district (BID), the New West End Company in London's retail hub of Oxford Street, Regent Street and Bond Street. 8. Preparing Ireland's first city region "place brand" strategy for Cork. Failte Ireland, Bord na Mona, Cork City Council, Earlsfort Group, Dublin City Council, London Borough of Merton, Trigranit, Penta Investments, UK Government, AFC Wimbledon, Chelsfield, Stanhope, Hammerson, Scottish Widows, Aviva, London Boroughs including - Brent, Merton, rent, TFL, Marks ＆ Spencer, LDA, Waterford City Council, Morgan Stanley, North Kildare Chamber, Naas Town Council, City of st Petersburg, FL, USA, Korail, Seoul, South Korea, Robi, China. Worked with Colliers offices including: Hong Kong, Shanghai, Seoul, Bratislava, Belgrade, Istanbul, Tampa Bay and Almaty. Would be great to add to the list. MSC: European Property Development & Planning. University College London, Westminster University & Oxford Brookes University. Aiden joined jackson Stops McCabe in 1973. After training as a Surveyor, Aiden's primary activity was in the area of Professional Services adn Commercial Agency. This latter role expanded into Consultancy Services for developers advising on innovative ways to provide business space. In 1987 Aiden set up his own business with Centrum Invest, a Scandinavian company specialising in planning shopping schemes, and advising retailers on expansion strategies. 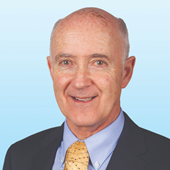 Aiden returned to Colliers in 2004 as an Associate Director adn Head of Retail. From late 1980's Aiden has been active in the Retail Property Market, providing consultancy advice for town-centre and shopping centre development, including market studies to determine their optimum scale, tenant mix and profile. He has provided extensive work for leading retailers in acquisition, relocations and disposals.